The 1867 train wreck that shocked the nation and transformed American railroads. Though the disaster captured the public’s imagination in the months and years that followed, it has since been largely forgotten. 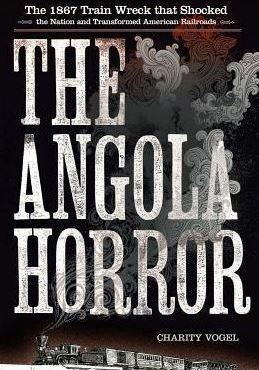 In the new book “The Angola Horror” (Cornell University Press), Buffalo News reporter Charity Vogel revisits the Horror and answers the questions: what happened, and why? In the following interview, Vogel discusses important details about the accident, which likely would have claimed the life of a young John D. Rockefeller, if he hadn’t missed the train as it departed Cleveland’s Union Station. The public seems to have been insecure about traveling by rail back then. Why? In the mid-nineteenth century, the American public certainly was insecure about traveling by rail—and with good reason. Rail travel was tiring and unpredictable; you would freeze or swelter, in dimly-lit conditions, and the cars were often airless and uncomfortable. Worst of all, it could be dangerous. Many of the developments that we think of when we think of trains—automatic air brakes, uniform gauge sizes and uniform couplers, the system of railroad standard times—were not yet in use. Tell me about the broken rail that had to be fixed shortly before the accident occurred. On the morning of the wreck employees of the Buffalo and Erie Railroad noticed that a length of rail had broken along the track [near Angola station]. At the time, the Buffalo and Erie, like many other American railroads, [still] used iron rails. Henry Bessemer had already invented a way to turn pig iron into steel, but most railroads in the United States had not yet switched to using steel—for one thing, because of the cost. The railroad employees ripped up and replaced the section of broken iron rail early in the day, and by the time the New York Express passed over it, the rail was fixed. Still, it was one of the things that went wrong on the day of the Horror. Why did the New York Express derail? It derailed because of a combination of factors that played into one fateful moment, as the train rolled past Angola station and out towards Big Sister Creek bridge to the east of the village. The train seems to have been going faster than railroad rules called for at the bridge crossing. A rearward wheel on the train, at the very back of the last passenger coach, struck a frog in the track—that is, a place where two rails come together—in such a way as to jar the back wheel off the track. The dislodged wheel also apparently struck a metal spike. The back truck of the train derailed just as the train steamed out over the bridge, and the two rear passenger cars began to sway and rock with increasing violence. That eventually pulled the two back cars off the track. Later, during inquest testimony, it was found that the axle of that rear set of wheels had been bent, and the wheel itself might have been flawed. In addition, the train appears to have been operating that day with a mixed group of cars from a few different railroads, some of them “compromise cars” meant to accommodate tracks of differing gauge widths. All these factors may have played into the disaster. Tell me what happened to the pair of cars that fell from the tracks. The two cars that fell toppled into the ravine at Big Sister Creek—a drop of some 50 feet. 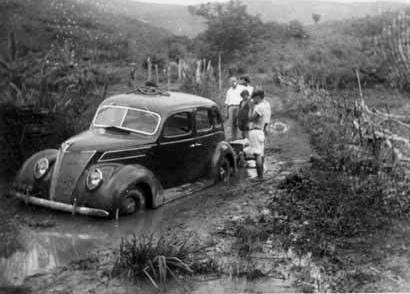 The first car to fall, the rearmost car, fell to the north of the tracks, and landed in such a way that it was propped nearly upright; that car caught fire, and the people in it burned so badly that many could not be rescued, or even identified. The second-to-last passenger car fell on the other side of the bridge, and that car tumbled down an incline, bruising and slamming about the people inside. Some of the people in that car lived, but they were injured terribly. The death toll was about 50 people, but given the way the wreck happened, and the fact that railroads did not keep passenger manifests, the exact number will never be known for sure. I understand that future oil magnate John D. Rockefeller planned to take the New York Express that day. Why did he miss the train? In December 1867 Rockefeller was a 28-year-old businessman living with his wife and daughter in Cleveland. On the day of the Angola Horror, he was planning to travel to New York. Early that morning, Rockefeller arrived at the Cleveland railroad station and loaded his bags onto one of the four passenger coaches of the New York Express, but the train was delayed, and he got off, likely to pass the time. When the train pulled out of the station, Rockefeller missed it, but his bags were still on board. They burned up in the gorge at Angola. It was uncharacteristic of Rockefeller to miss a train; he was an organized, punctual, detail-oriented person. Later, he would see it as the hand of Providence. 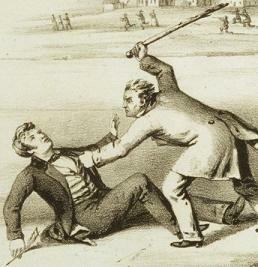 Why did the accident have such a strong hold on the public’s imagination in the nineteenth century? Angola was a major railroad event in post-Civil War America. People all over the country read about the disaster in their daily newspapers, as well as in periodicals like Harper’s, Frank Leslie’s Illustrated Newspaper and Kelley’s. Angola struck fear into the hearts of many men and women because it claimed the lives of so many average folks, including families, who were traveling just before Christmas, some of them to weddings or family reunions. It also showed how unpredictable and dangerous rail travel could be. And Angola, though it didn’t have quite as high a death toll as a few other well-known train wrecks in the nation’s history, claimed its victims in ways that were particularly grisly. What changes in railroad safety came about as a result of the Angola disaster? Angola became a watchword for railroad safety in the years after 1867. It was among the wrecks frequently mentioned in newspapers and periodicals when calls for improved safety in rail travel were made. Other accidents, when they happened, were likened to the disaster: “Another Angola!” newspapers would report. Angola was in the air when, soon after the accident, a young mechanic from New York State, George Westinghouse Jr., came up with the concept of the air brake, which made railroad trains safer immediately, and in dramatic ways. Angola was also one of the wrecks in the public consciousness when, in 1893, a federal law [the Safety Appliance Act] mandated the uniform use of safety appliances—things like air brakes and automatic couplers. Is there a monument or memorial to the victims? Unlike other significant American train wrecks, today there is no marker or memorial to the victims at the place where they lay buried—in a mass grave, in Buffalo’s Forest Lawn cemetery. For many years the same could be said of the site of the wreck itself. However, during the five years that I spent working on the book, some Angola-area residents saw to the erection of a small historical marker along Big Sister Creek, not far from where the cars fell. Hopefully, before too much more time passes, larger and permanent memorials will be erected at both sites. Why do you think the accident has been largely forgotten? Angola was not preserved in the public’s memory the way that other American train wrecks were—Ashtabula, Camp Hill, and others. That could be partly because no books were written about the disaster, either at the time or afterwards. In Ashtabula, a book was written by someone from the community just weeks after the wreck which recorded and preserved many of its details. Also, I think that some train wrecks lingered longer in memory because they were photographed—and Angola never was. So, over time, the Angola Horror became a name on a list—or a small entry in long compendiums of railroad calamities of the 1800s. There was vague awareness of the name, “Angola,” but no detail, no narrative. The identities of the victims had been forgotten over time. Angola was, in many ways, lost. It’s my hope that the book I have written changes that, even a little bit. I want Angola to be remembered; this book is my argument for why it deserves to be. 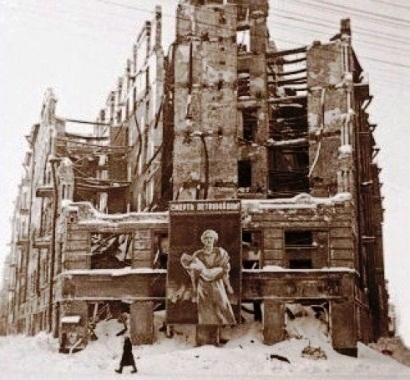 The Siege of Leningrad—The deadliest blockade in human history—and how countless lives could have been saved. 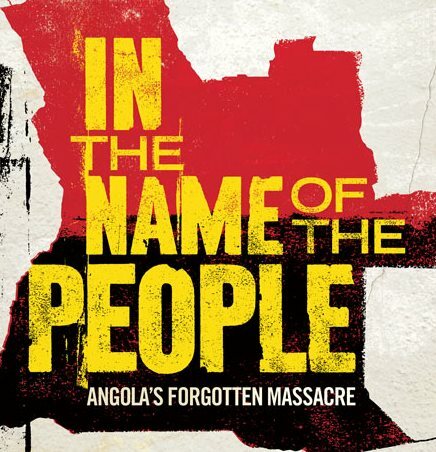 The Twenty-Seventh of May 1977—Angola’s forgotten massacre.